Bespectacled celebrities hit the red carpet this October to celebrate Specsavers' Spectacle Wearer of the Year Awards. At the star-studded ceremony we spotted a variety of fashionable frames from vintage classics to bold oversized specs. Nadine Coyle was this year's Spectacle Wearer of the Year ambassador. On the night, Nadine styled her look with these classic Tommy Hilfiger frames. 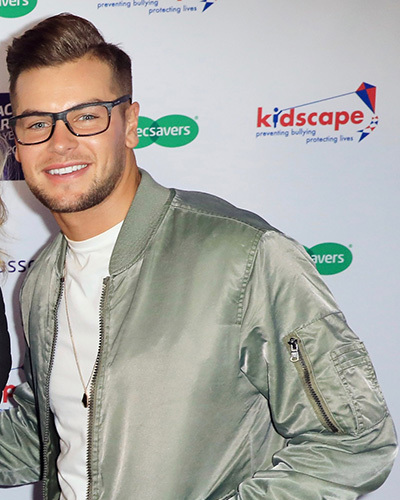 Celebrity Love Island contestant Chris Hughes joined us at the awards wearing these lightweight and stylish Boss Orange specs. Irish model Vogue Williams took part in our judging panel to choose our final winner for Spectacle Wearer of the Year. Vogue used eye catching accessories to complete her look, including these retro chic frames. 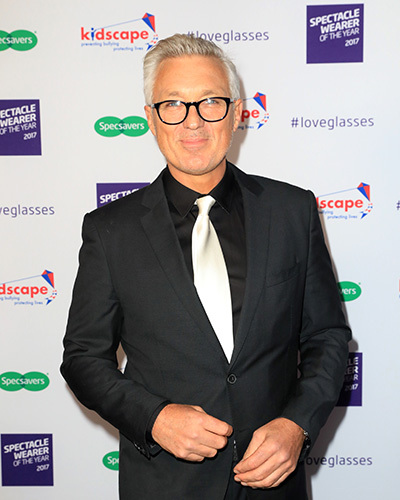 Music and TV legend Martin Kemp kept things classy with bold-coloured frames with a classic twist. Loved up TOWIE stars Tommy Mallet and Georgia Kousoulou hit the red carpet together with Tommy rocking these vintage aviator frames. Georgia chose statement tortoiseshell frames to complete her look. Comback popstar Claire Richards matched her 50s-style outfit to her specs, wearing these classic cat-eye shaped specs. Comedian Joel Dommett wore these stylish tortoiseshell round frames to sharpen his look for the night. Joel's model girlfriend Hannah Cooper chose these understated specs to complement her daring co-ord suit.